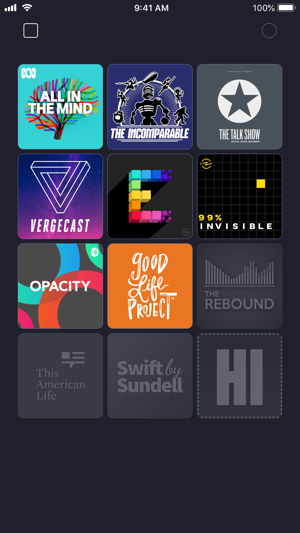 A simple, clean and efficient podcast app. 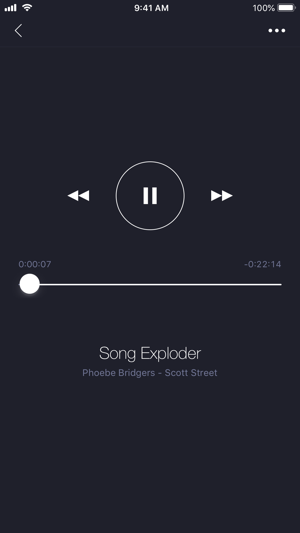 - Sound Check: Automatically ensures episodes play at a more consistent volume, boosting quieter podcasts. - Offline: Automatically downloads new episodes as they become available. (the app will wait for opportunities to download when connected over Wi-Fi, user initiated downloads within the app can use both cellular/Wi-Fi). - Storage: Automatically deletes episodes from the device when played. Stream older episodes without downloading (cellular/Wi-Fi). Import podcasts from OPML files. 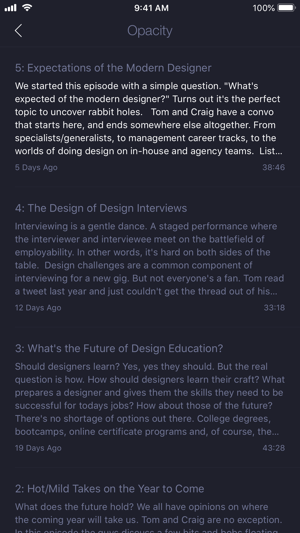 Subscribe to podcasts from URL's copied to the clipboard. Sound Check: Automatically ensures episodes play at a more consistent volume, boosting quieter podcasts. Utter perfection. The best podcast client around. As a UI designer, I think this is perfection. Nothing to attend to, no decisions to make. Just launch it, see freshly updated subscriptions lit up in color, listen to them. Genius. There's really nothing missing here... although I'm not a huge fan of the squar eicon. Simple. Easy. Clean. It just works well. Search function works well too. One of the best apps on my phone. 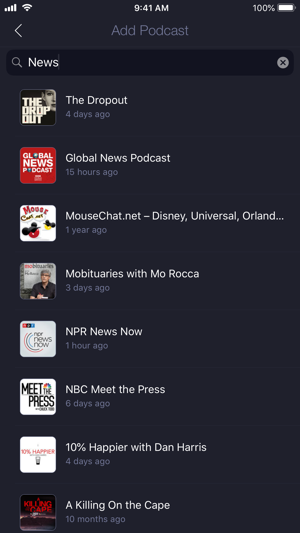 The search function doesn’t return any results for many podcasts, even well known Radio Lab doesn’t come up. No function evident to download episodes. Will be asking for my money back.